Successfully Added HK Warehouse UMIDIGI S2 Android Phone - Android 6.0, Helio P20 CPU, 4GB RAM, 6-Inch, 5100mAh, 18:9 Full Screen (Red) to your Shopping Cart. Take your mobile media experience to the next level with the UMIDIGI S2 Android phone. With its beautiful 6-Inch HD display, this Android smartphone treats you to absolutely stunning visuals. From now on, you’ll be able to enjoy games, series, and movies on the go like never before. To make sure that this latest Android phone handles all your demands, it comes with the state of the art Helio P20 Octa-Core processor. Along with 4GB RAM, this CPU lets you tackle the most demanding features and applications. Whether it’s games, movies, or Apps – the UMIDIGI S2 handles it all. The phone is equipped with 64GB memory and a 256GB SD card slot. Therefore, you’ll have plenty of storage available to keep all your files and media. With the UMIDIGI S2 smartphone at your side, you’ll never have to feel bored again. The phone even comes with a 13MP-Dual-Rear camera to meet the likings of all smartphone photography lovers out there. This UMIDIGI S2 Android phone has a whopping 5100mAh battery that delivers up to 20 hours of continuous usage time. Thanks to this, you’ll be able to enjoy all its features for multiple days without needing to recharge. With its Android 6.0 operating system, it is guaranteed to treat you to a smooth user experience at any given moment. For increased connectivity, the UMIDIGI S2 Android phone comes with Dual-IMEI numbers. This makes the smartphone perfect for those of you who wish to separate work and private life while using only one device. The cell phone has 4G connectivity. This means that you’ll be able to take advantage of the fastest mobile data speeds around. From now on, you’ll always stay connected to friends and family no matter whether you’re at home or traveling abroad. 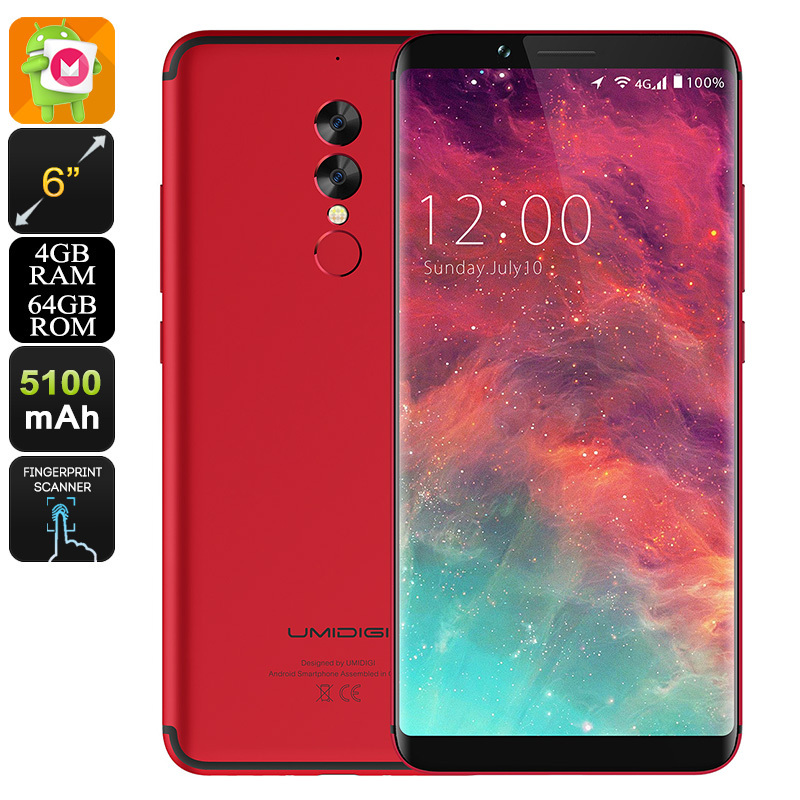 The UMIDIGI S2 Android Phone comes with a 12 months warranty, brought to you by the leader in electronic devices as well as wholesale smartphones..